The SuperPole™ System is an award winning modular support system designed for those requiring assistance with standing, transferring, or moving in bed. • Ease of installation: Quick and easy to install / relocate. Installs by turning the jackscrew at the bottom of the pole. 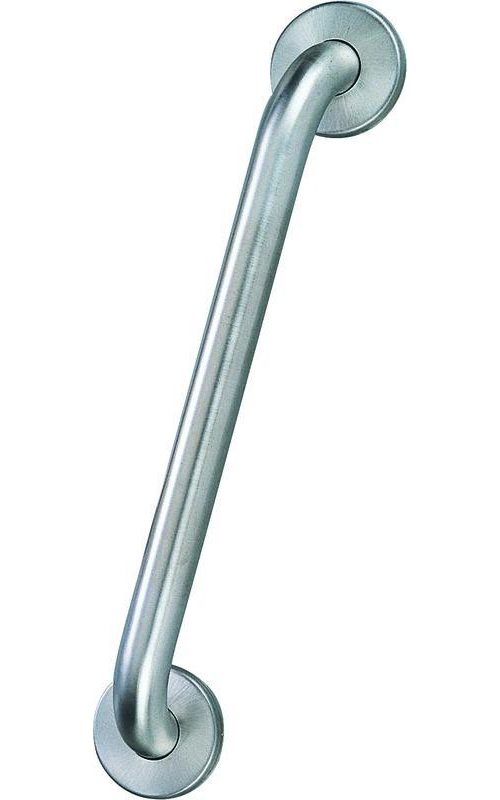 The screw (expands� the pole to create enough tension between the floor and ceiling to hold the pole (rock solid� secure. • No Damage Installation: Rubber pads on the ceiling plate and the floor plate hold pole secure and prevent marring of floor and ceiling, even stipple ceilings. • Stylish: Clean and modern design will suit any decor. • Comfort: Foam hand grip provides a comfortable gripping surface, particularly useful for those with limited hand strength. • Versatile: Installs anywhere there is a floor and ceiling, placing transfer support directly where it is needed. Use it beside a bed, bath, toilet or chair. Custom ceiling heights available. • Add On Kits: The SuperPole™ also serves as a mounting support for a complete range of options that can be varied to meet changing needs: The SuperBar™, SuperTrapeze™, SuperTray™ & Safety Island™. • Floor to Ceiling Range: 93-99"/236-251cm (standard). 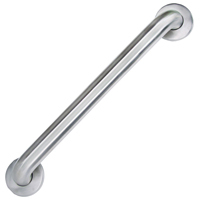 • Pole Material: Heavy gauge steel, 1.5"/3.81cm diameter. High temperature baked powder coat gloss white enamel. • Grip Material: Grey, premium high quality grip, 20"/51cm long. Does not contain natural dried rubber or latex. Washable. • Expansion Mechanism: Steel jackscrew, zinc plated, 1-1/8" fine cut thread. • Base Plate: 5"/12.7cm diameter. Non-marking base plate rubber, ribbed for better gripping. • User Weight Capacity: Standard model 300lbs/136kg, Bariatric model 450lbs/205kg. Cannot be used with SuperTrapeze™ or Uni-Fit Extender™. • Uni-Fit Extender™: Increase floor to ceiling range to 100-120"/254-305cm. NOT TO BE USED WITH SUPERTRAPEZE™. 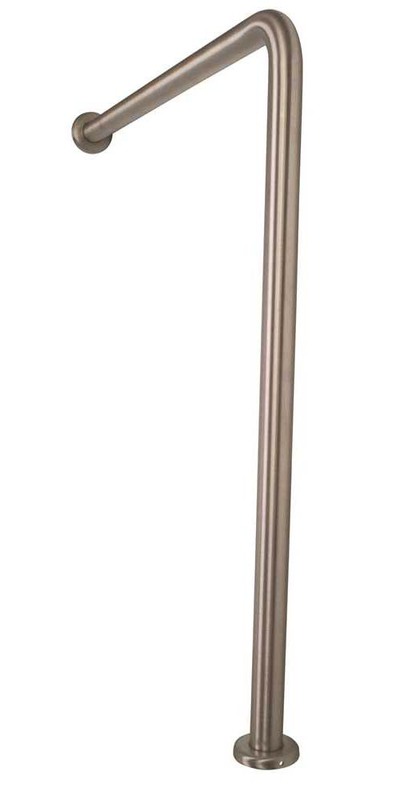 • SuperPole™ Ultra: Longer pole accommodates floor to ceiling range to 121-140�/307-356cm. NOT TO BE USED WITH SUPERBAR™, SUPERTRAPEZE™, OR SAFETY ISLAND™. • Ceiling Plate Extender™: Allows standard ceiling plate (20�/51cm length) to span 30�/76cm with holes for ceiling attachment to 24�/61cm ceiling beam centers. • Angled Ceiling Plate for SuperPole: Allows standard SuperPole to mount to angled ceilings upto 45 degrees. 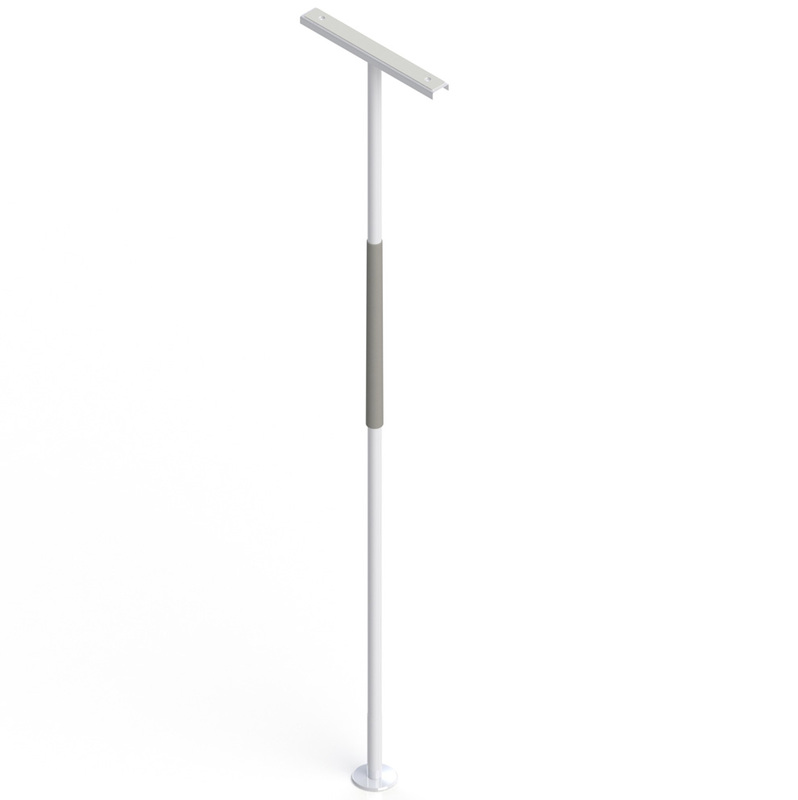 The SuperBar™ is a horizontal pivoting and locking bar that mounts to the SuperPole™, suitable for clients who require moderate assistance to achieve small steps during transfers. • Safety: unlocks and pivots freely to move with you step by step, yet locks every 45 degrees to assist with standing and sitting. Automatically locks when released preventing forward or lateral falls. Full support when making two or three steps transfers. • Ease of use: No reaching, stretching or twisting required. • Flexible: More compact than a walker in small restricted areas such as washrooms. • Versatile: Can pivot in narrow areas such as between bed and wall, narrow hallways, etc. • Bed Application: Allows weight shift, moving, standing, leaving or getting into bed, or transfer to wheelchair, walker or bedside commode. • Bathtub Application: Provides complete support for step-over without reaching for wall bars. 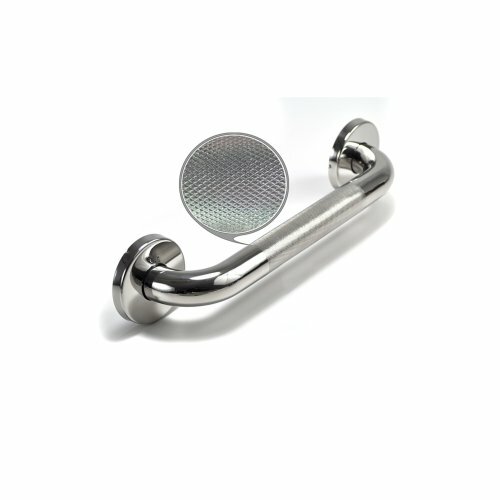 The SuperBar™ can pivot away from shower curtains, allowing them to fully close during a shower. • Toilet Application: Permits pulling up to standing and can provide leaning support while managing clothing. 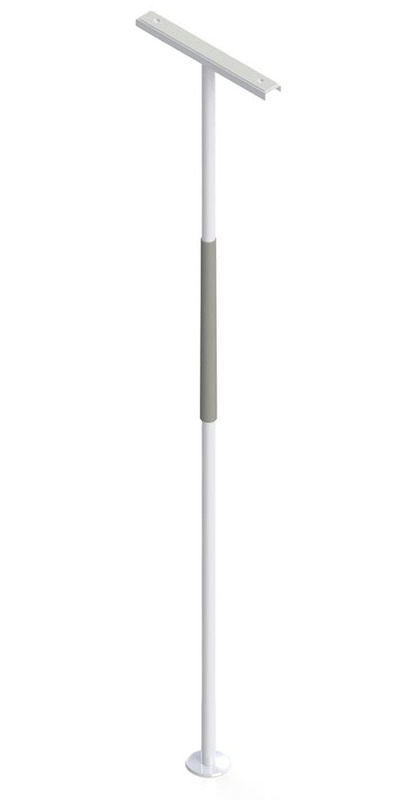 • SuperBar™: 1.5" / 3.81cm diameter, 16� / 40cm length, locks every 45 degrees (8 positions), height adjustable typically 24" - 38" / 61-97cm (from floor, with limit of 58" / 147cm from ceiling to top of bar. 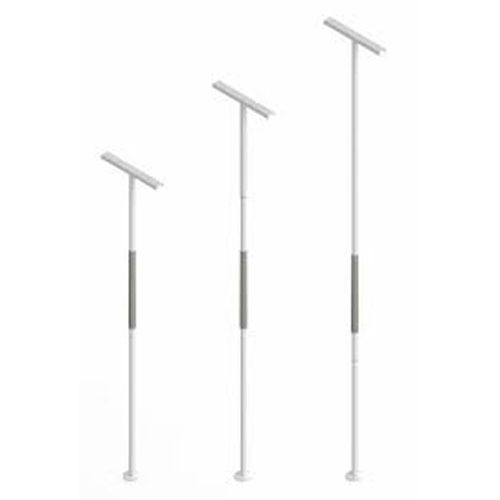 • Floor to Ceiling Range: 93" to 99" / 236 to 251 cm (standard). 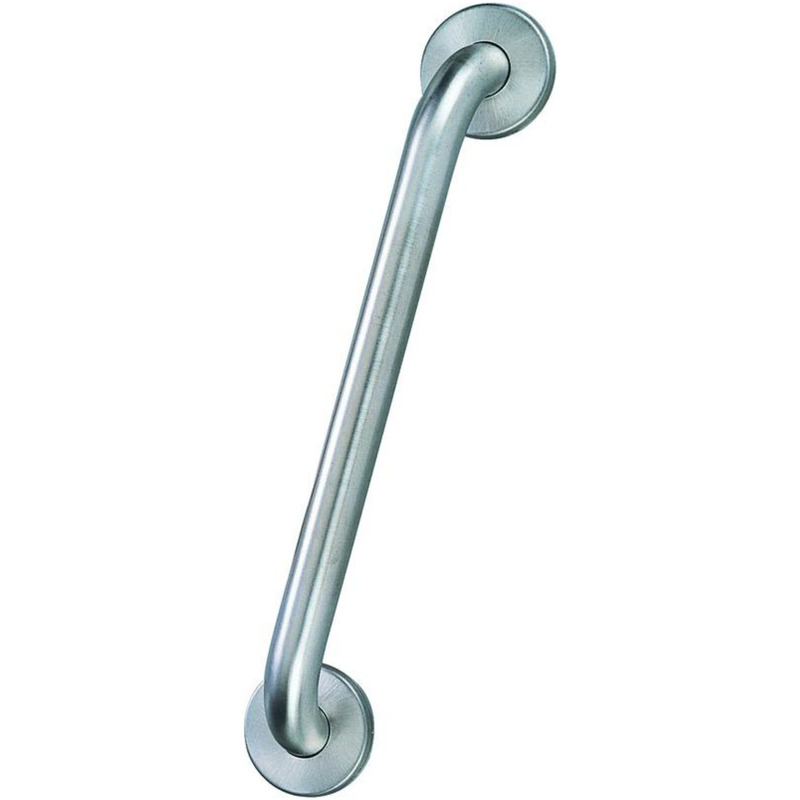 • Pole Material: Heavy gauge steel, 1.5" / 3.81cm diameter. High temperature baked powder coat gloss white enamel. • Grip Material: Grey, premium high quality grip, 20" / 51cm long. Does not contain natural dried rubber or latex. Washable. • User Weight Capacity: Standard model 300lbs/136kg. • Bariatric model 450lbs/205kg. Cannot be used with SuperTrapeze™ or Uni-Fit Extender™. 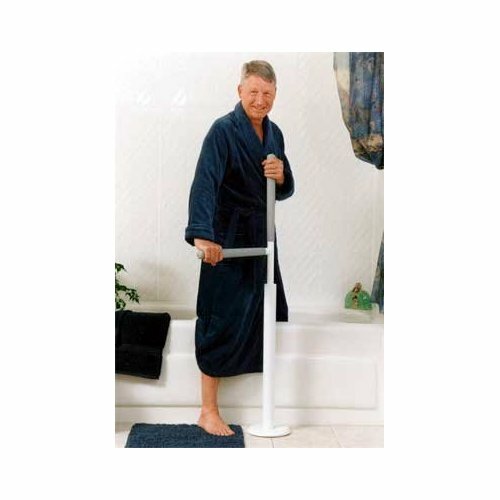 Features & Benefits: Portable Advantage Rail™ / Advantage Pole™ Bariatric Simple. • A gentle lift unlocks the rail to start it moving. Keep the rail up to move freely. Let the rail down to lock. Provides 8 locking positions. Height adjustable. • Safe, Effective Support. 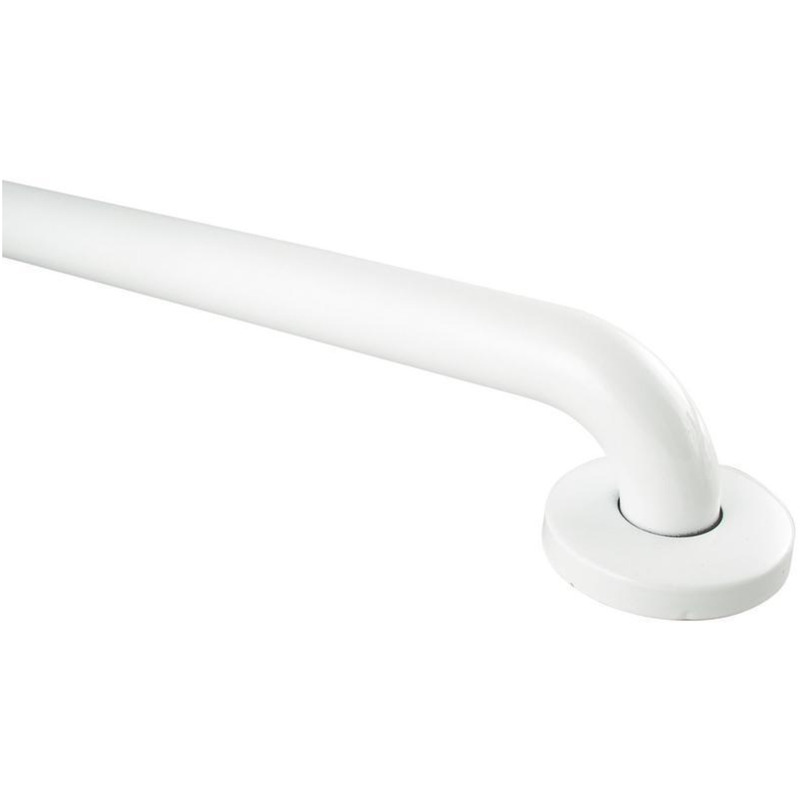 Push or pull on the rail to assist with sitting, standing and moving. To help prevent a forward fall, the rail will lock if released. • Reduce Caregiver Strain. Maximize the use of available strength while a caregiver supervises. Promotes safe and independent movement. • Floor Plate: Six hole floor screw pattern (6 X 3/8" holes on 7.5"/19cm diameter). • Weight Capacity: Standard model 300lbs/136kg capacity, Bariatric model 450lbs/205kg capacity, Advantage Pole 450lbs/205kg capacity. • Effective: SuperTrapeze™ includes the innovative e2™ trapeze handle with a "ladder-like" set of two rails that allows the user to more easily climb up to a sitting position. 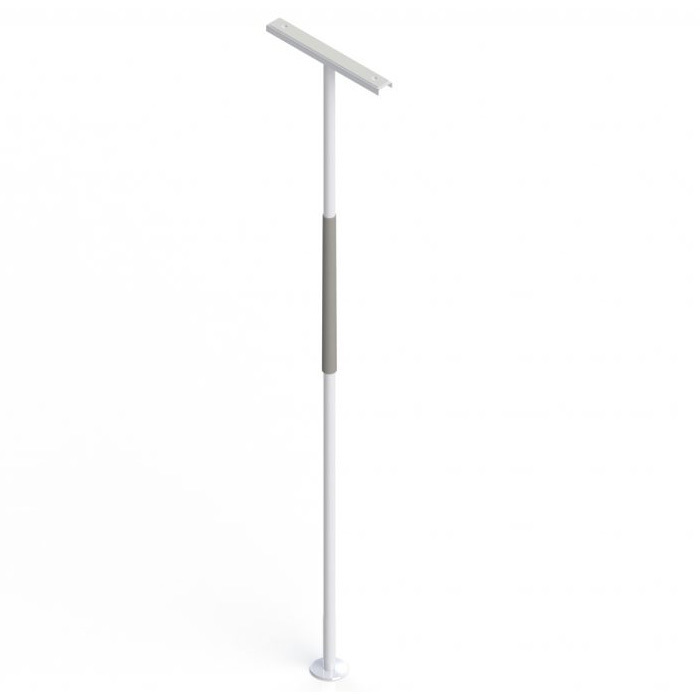 • Ease Of Use: The combination of a trapeze + bedside pole - the only product to provide COMPLETE support for sitting up, pivoting, and standing up from bed. • Versatile: Does not require special bed or mounting brackets - works with any bed! Does not force bed outward from wall as with conventional trapeze systems. Will install beside waterbeds and electric beds unlike floor mounted trapeze systems. • Flexible: Support arm is adjustable in height and angle. Strap is adjustable in length to achieve best height and location of trapeze. • Storage: Open design of trapeze handle allows it to be hooked onto pole for storage. • SuperTrapeze™: 0.875"/2.2cm diameter, Adjustable 1�/2.5cm nylon strap attaches to welded support arm (adjustable in height on SuperPole™). • Support Arm: 17"/43cm. Recommended height 84"/213cm from floor. Fixed to the pole with 3 penetrating set screws. • Trapeze Handle Grips: 6.25�/16cm and 10.25�/26cm. • User Weight Capacity: Standard model 300lbs/136kg. NOTE: No more than 150lbs/70kg should be exerted on trapeze system. 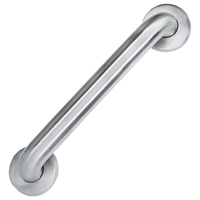 SAFETY GRAB BAR Stainless steel safety grab bars Concealed screws Meets ADA standards 46-2499 SS 36 IN. 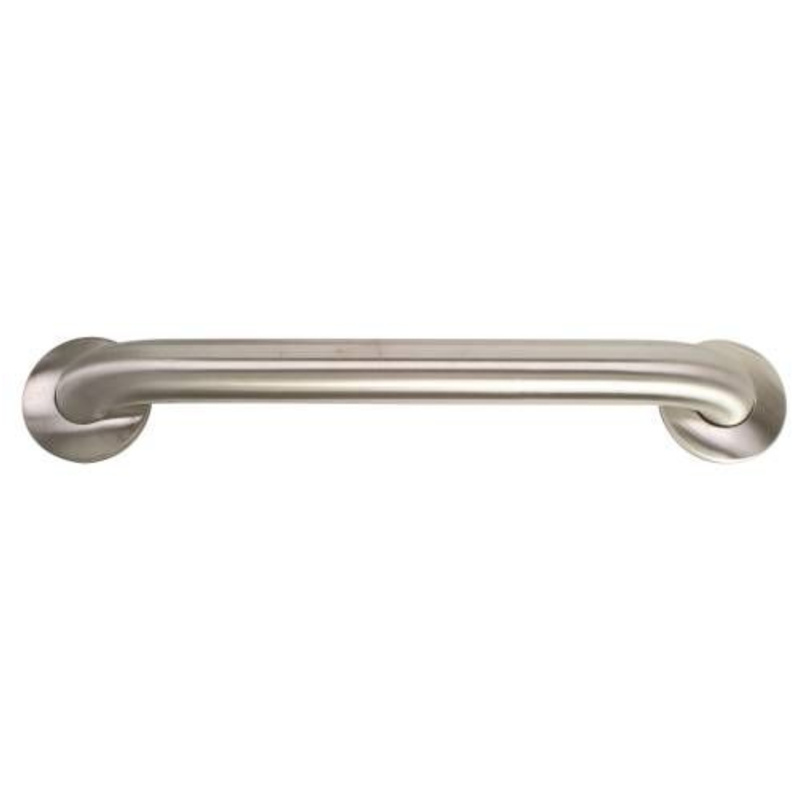 SAFETY GRAB BAR SIZE:36x1-1/4"
STAINLESS STEEL COMMODE BAR RIGHT HAND 30" X 33" STAINLESS STEEL COMMODE BAR RIGHT HAND 30" X 33"
18 Gauge, Type 304SS Tubing with Satin Finish. Made In accordance with ANSI A117.1-1986. Will Meet ADA Handicap Code Requirements. Snap-On Flange. Mounting Hardware Not Included. 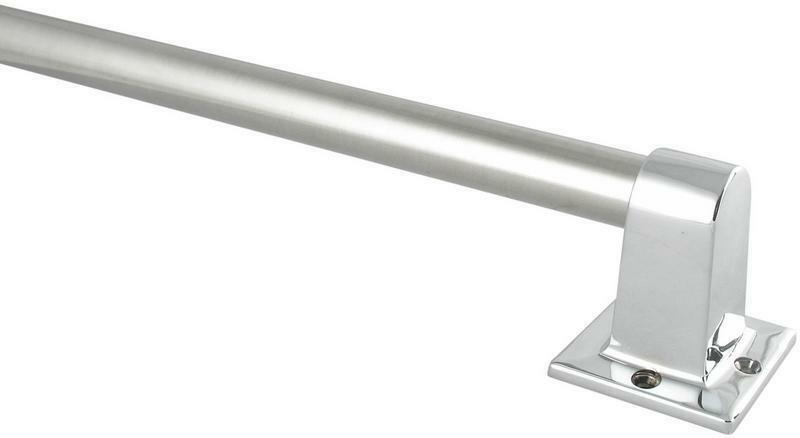 Size: 30" X 6" X 33"H.
| Platinum designer series | 18" x 1.25" | Unmatched beauty and structure - cast 18/8 stainless steel. 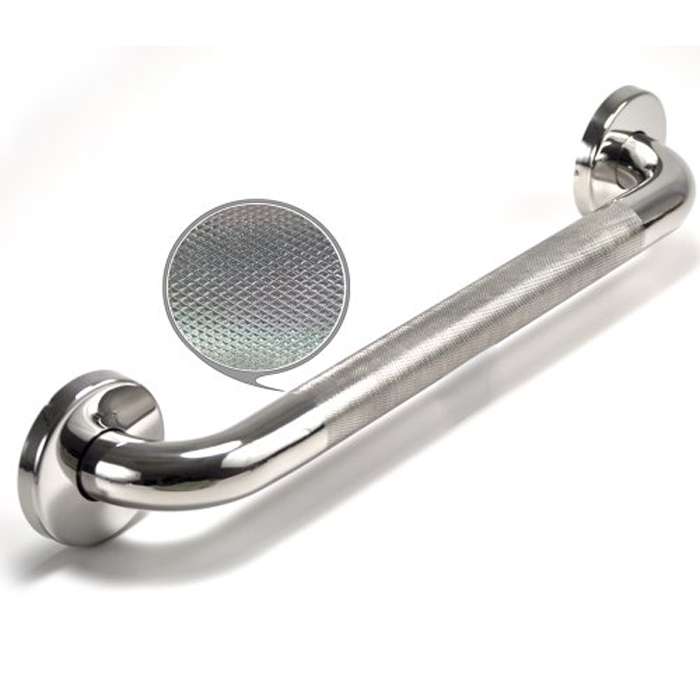 Premium appearance and quality at a low price | Cast stainless steel flanges threaded, waterproof fit | Speed-install with WingIts' Grab Bar Fastening Systems | Bright (polished) stainless steel finish Does NOT come with mounting hardware. 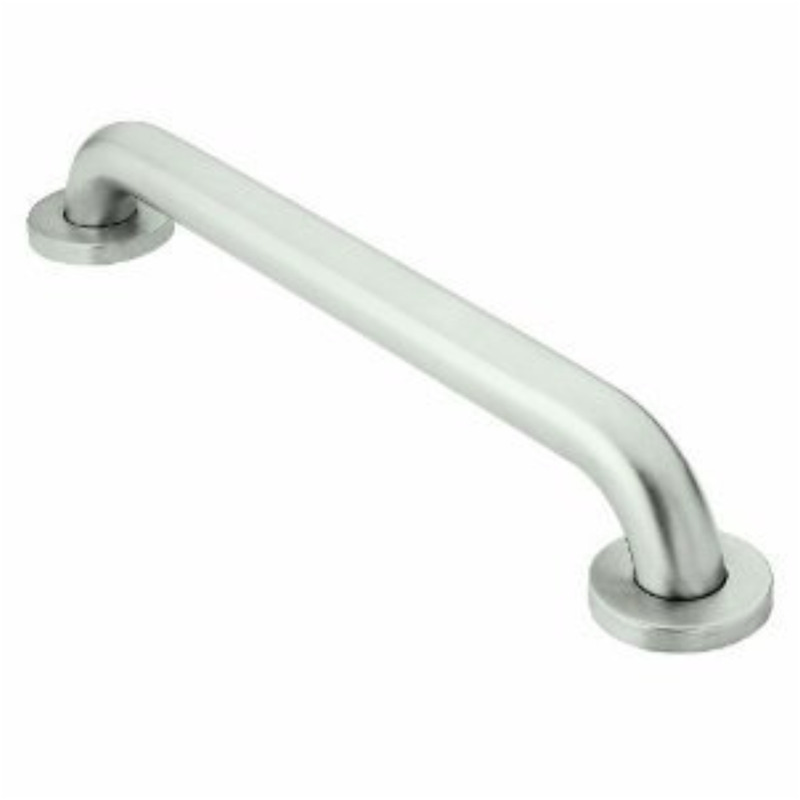 SAFETY GRAB BAR Stainless steel safety grab bars Concealed screws Meets ADA standards 46-2515 SS 18 IN. 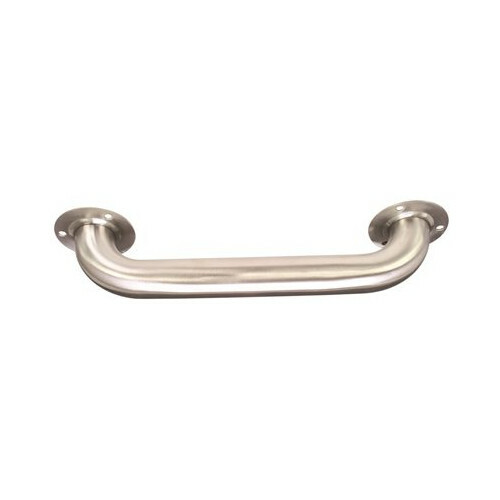 SAFETY GRAB BAR SIZE:18x1-1/4"
WINGITS GRAB BAR SATIN STAINLESS STEEL 12" L X 1-1/4" WINGITS GRAB BAR SATIN STAINLESS STEEL 12" L X 1-1/4"
12"L x 1.25" Satin Stainless Steel Grab Bar-install w/ WingIts Does NOT come with mounting hardware. 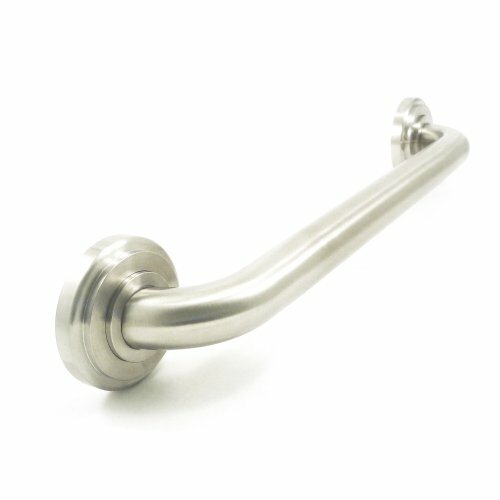 STAINLESS STEEL GRAB BAR ROUND FLANGE 32 IN. 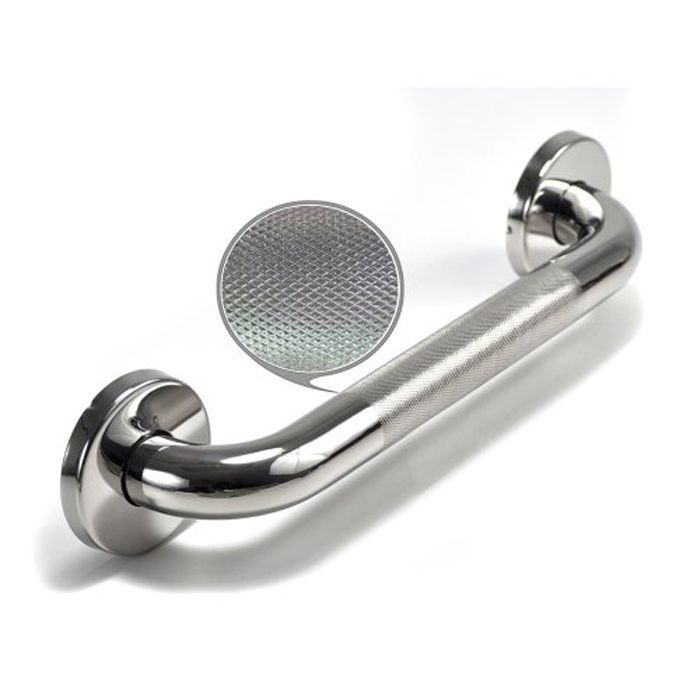 STAINLESS STEEL GRAB BAR ROUND FLANGE 32 IN. 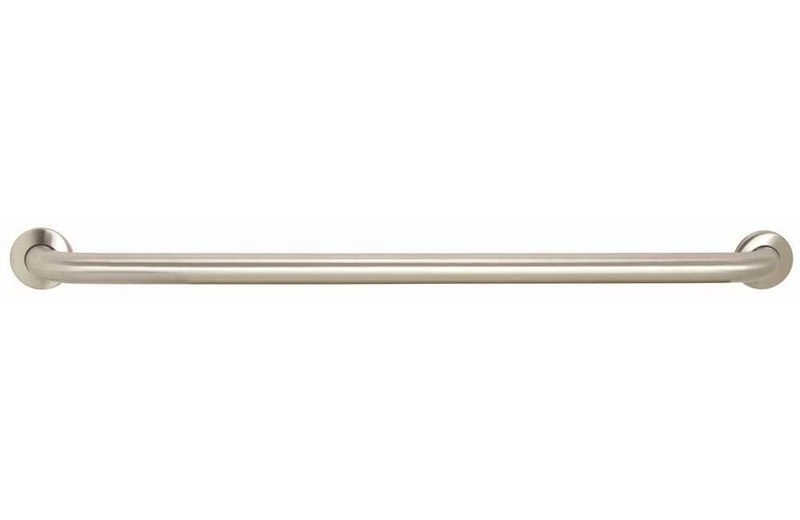 18 Gauge, Type 304Ss Tubing with Satin Finish. Made In Accordance with Ansi A117. 1-1986. Will Meet Ada Handicap Code Requirements. 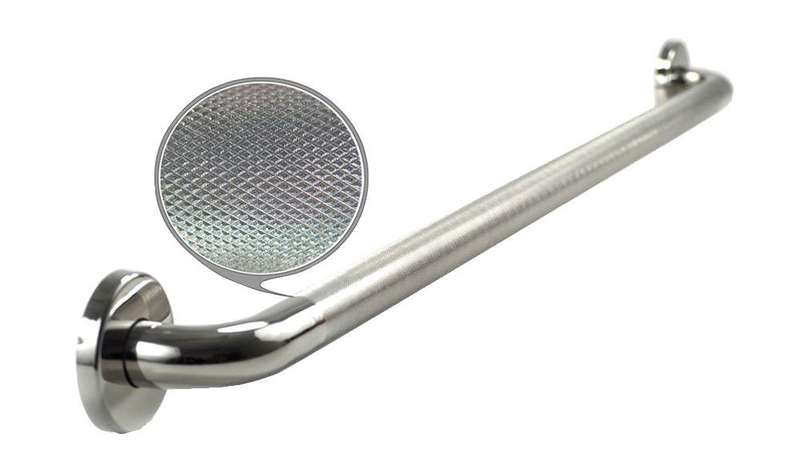 Snap-On Flange, Concealed Screw (Requires One Mounting Kit Per Flange). Size: 1-1/2" X 32". SAFETY GRAB BAR Stainless steel safety grab bars Concealed screws Meets ADA standards 46-2507 SS 24 IN. SAFETY GRAB BAR SIZE:24x1-1/4"
SAFETY GRAB BAR Stainless steel safety grab bars Concealed screws Meets ADA standards 46-2481 SS 42 IN. SAFETY GRAB BAR SIZE:42x1-1/4"
SAFETY GRAB BAR Stainless steel safety grab bars Concealed screws Meets ADA standards 46-2523 SS 9 IN. 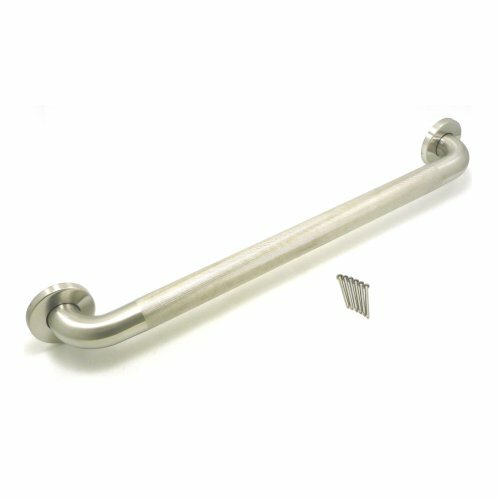 SAFETY GRAB BAR SIZE:9x1-1/4"
WINGITS STANDARD KNURLED GRAB BAR, STAINLESS STEEL, 36 IN. X 1-1/2 IN. 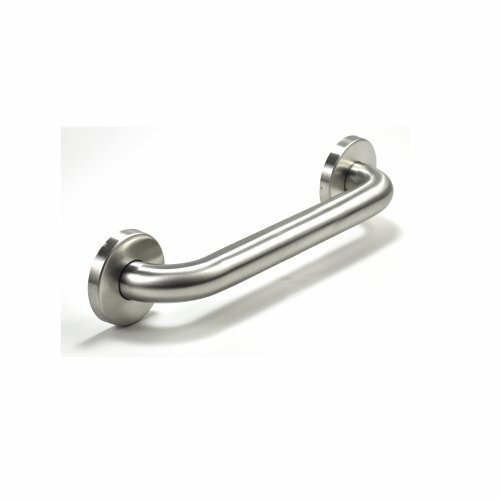 WINGITS STANDARD KNURLED GRAB BAR, STAINLESS STEEL, 36 IN. X 1-1/2 IN. 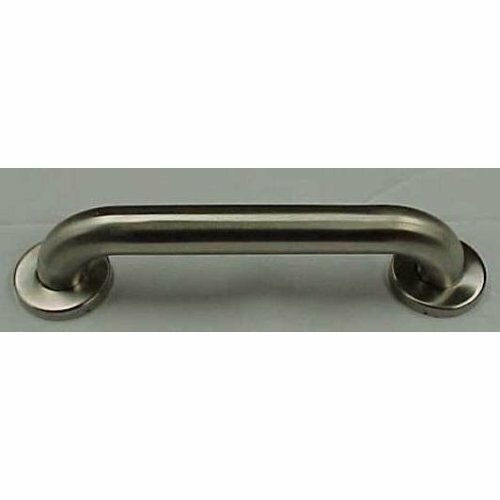 Constructed of 18 gauge type 304 stainless steel with a standard satin finish, all parts of these grab bars are heliarc welded to form one complete unit and meet or exceed all building codes for barrier-free design. Tubing is available 1-1/2-inch outside diameter. The bars are manufactured with concealed screw flanges.